Linebacker Tegray Scales became the first Hoosier defensive player to earn All-American honors since defensive end Greg Middleton did so in 2007. Scales finished 10th nationally with 126 tackles while leading the nation in tackles for loss with 23.5. Scales will be back on the field for IU for his senior season in 2017. Offensive lineman Dan Feeney will go down as one of the best players in Indiana Football history. He became just the third player in school history to earn first-team All-American honors in back-to-back seasons. Feeney helped pave the road for three consecutive years with a 1,000-yard rusher (four total). Jason Spriggs, a tackle, was a 2015 FWAA first-team All-American. He also earned All-America honors from Phil Steele, Sporting News, the Walter Camp Football Foundation, the Associated Press, and Sports Illustrated. He finished the 2015 season as the first Outland Trophy finalist in school history while allowing just two sacks on 475 pass attempts and 79 knockdowns on a team-high 1,074 snaps. He was selected in the second-round (48th overall) by the Green Bay Packers in the 2106 NFL Draft. Tevin Coleman became the first Hoosier to garner First Team All-American honors since Antwaan Randle-El in 2001. 2014 was a special year for Coleman, only a junior, as he set the school record for most rushing yards in a season as he racked up 2,036 yards and 15 touchdowns. Coleman will forego his senior season to enter the NFL Draft. He concluded his Hoosier career with 3,219 yards on 452 carries and 28 touchdowns. He was named a finalist for the Doak Walker Award for the nation's top running back. James Hardy, the top receiver in Indiana football history, became IU’s first all-america receiver in 20 years when he picked up second team honors from the Walter Camp Foundation and third team laurels from the associated Press. Hardy, a Biletnikoff award semifinalist, set a new school record with 16 touchdowns in 2007 and finished his career with an IU-record 36 Td grabs. He wrapped up his tenure in Bloomington as the school’s all-time leader in catches, yards and TDs before being drafted in the second round by the Buffalo Bills. Greg Middleton had a breakthrough sophomore season on the defensive line, picking up second team all-america honors from the Walter Camp Foundation and third team recognition by the associated Press. Middleton set a new school record and led the nation with 16 sacks in his first season of regular playing time. He added 17 tackles for loss and 50 tackles overall in anchoring a defensive line that set a new school record with 42 sacks. He was a finalist for the Ted Hendricks award, presented annually to the top defensive end in college football. Kicker Austin Starr had a momentous junior season, posting a new school record with 21 field goals in 23 attempts en route to Associated Press second team all-america honors. He converted 15 consecutive field goals during the season, shattering doug Smith’s IU record of 10. He added a school record 48 extra points in 48 attempts to lead the Hoosiers with 111 points on the season. The Logansport, IN., native was also an academic all-american and a finalist for the Lou Groza award, presented to the nation’s top collegiate kicker. Starr’s 49-yard field goal led Indiana to a 27-24 Old Oaken Bucket victory over Purdue in the season finale and lifted the program to an insight Bowl appearance, its first bowl since 1993. Arguably college football’s most exciting player went into the NCAA record books as one of the sport’s most successful dual-threat quarterbacks. Randle El finished sixth in the Heisman Trophy balloting, won the Chicago Tribune’s Silver Football award as the Big Ten’s Most Valuable Player, and was the Big Ten’s Offensive Player of the Year as selected by Big Ten media and coaches in his final season. He is the first player in NCAA Division 1-A history to pass for 40 touchdowns and score 40 touchdowns and finished his career with 42 touchdown passes and 45 touchdowns rushing and receiving. He was the first Football Bowl Subdivision (FBS) player to pass for over 6,000 yards and rush for over 3,000 yards in a career. Levron Williams had a breakout senior season and was one of only two Big Ten players to be recognized as a unanimous first team all-Big Ten selection. In 11 games, Williams carried 212 times for 1,401 yards (6.6 ypc average) and 17 touchdowns. He also led the team in receptions with 26 for 289 yards and two scores and was one of the country’s leaders in all-purpose yardage with 200.1 yards per game. Williams finished his career with 452 carries for 3,095 yards and 31 touchdowns. He also caught 94 passes for 1,088 yards and seven scores. A third team all-america selection as a senior in 1996, Eric allen tallied five interceptions, 67 tackles and three fumble recoveries on the season. The Indianapolis product played cornerback and safety for the Hoosiers from 1994-96 and finished his career with 10 interceptions, the sixth-highest total in Indiana University history. Aandrew Greene started 11 games at guard during both his junior and senior seasons. A native of Kingston, Jamaica, Greene attended high school in Ontario, Canada, and was a four-year letterman and three-year starter at right guard for the Hoosiers. He played at iU from 1991-94 and competed in the East-West Shrine Game and the Senior Bowl following his senior season. a second-round draft pick of the Dolphins in 1995, Greene played in six games for Miami that year. He signed as a free agent with the Seattle Seahawks on January 30, 1997, and was on their roster in 1999 and 2000. One of the finest running backs ever to play in the Big Ten Conference, Vaughn Dunbar earned first team all-america recognition in 1991. The Fort Wayne, IN., product finished his senior season with a school-record 1,805 rushing yards. a sixth-place finisher in the 1991 Heisman Trophy balloting, dunbar played only two seasons at Indiana after transferring from northeastern Oklahoma A&M, where he was a NJCAA all-america selection as a sophomore. Dunbar finished his career at indiana with 3,029 rushing yards and 25 touchdowns. A second-team all-america selection by both Football News and Sporting News in 1990, Dumas started the first two games of his career as a true freshman in 1987 and went on to become one of the finest defensive backs ever to play at Indiana. after moving from cornerback to safety during the final game of his junior campaign, Dumas stayed at safety for his senior season and went on to tally 116 tackles and intercept three passes. One of the finest running backs in the history of college football, Anthony Thompson earned first team all-america recognition following both his junior and senior seasons. a two-time Big Ten rushing champion, Thompson captured the NCAA rushing and scoring title during his senior campaign and was named the Walter Camp Foundation’s Player of the Year, the AFCA “Coaches Choice” Player of the Year, won the Maxwell award as the nation’s finest college football player and finished second in the 1989 Heisman Trophy voting. Pete Stoyanovich earned second team all-america honors as a junior in 1987. A first team all-Big Ten selection following his senior sea- son, Stoyanovich finished his career as indiana’s record holder for field goals in a season (17 in 1988), extra points in a season (45 in 1988), and consecutive extra points (107). He concluded his career having converted 47-of-71 (66.2 percent) of his field goal attempts and a then-Big Ten record 107 consecutive PATS for a total of 248 points. During his senior season, Stoyanovich connected on two 53-yard field goals and made 77.3 percent (17-of-22) of his field goal attempts. A third team all-america selection by the associated Press following both his junior and senior campaigns, Van Waiters helped lead Indiana to wins over Michigan and Ohio State during his senior season. As a junior in 1986, the Coral Gables, Fla., product was a third team all-america pick, earned first team all-Big Ten recognition and was selected as IU’s Most Valuable Player. He followed up his stellar junior year by tallying 83 tackles, 10 passes broken up, and two fumble recoveries as a senior on his way to earning third team all-america status for the second consecutive year. One of the most talented wide receivers to play at Indiana, Ernie Jones earned a reputation for his great hands and excellent acceleration in and out of routes. although he only caught 25 passes for 483 yards as a junior in 1986, the Elkhart, IN, product exploded onto the scene a year later with 66 catches for 1,265 yards and 13 touchdowns while earning first team all-america recognition. His single-season totals in 1986 set then-Indiana records for receptions, touchdowns and yards gained. Third on IU’s career receiving list with 2,361 yards, Jones was also named all- Big Ten and team Most Valuable Player following his senior campaign. The school record holder for interceptions in a season (eight in 1979) and career (19), Tim Wilbur was a first team all-Big Ten selection on two occasions and was a second team All-America pick at cornerback in 1980. also a standout punt returner, Wilbur was widely known for making big plays. among those, he tallied a 62-yard punt return for a touchdown in Indiana’s 38-37 Holiday Bowl victory over Brigham Young in 1979. The score helped secure the victory and earned him game MVP honors. One of the most productive tacklers in the history of the Big Ten Conference, this hard-nosed linebacker earned second team All-America recognition and first team all-Big Ten honors following the 1978 campaign. as a senior that year, norman accumulated 199 total tackles (including 141 solo stops), which shattered the former school record of 165 total tackles set two years earlier by Steve Sanders. Also Indiana’s career record holder with 444 tackles, Norman holds the school record for tackles in a game with 26 against Ohio State on november 18, 1978. A two-year starter at offensive tackle, Charley Peal earned third team All-America honors and first team all-Big Ten recognition in 1977. He started 11 games during both his junior and senior seasons. a junior college transfer, Peal was a second team All-America pick at Garden City Junior College. A product of Michigan City, ind., Donnie Thomas was a three-year starter at linebacker for the Hoosiers from 1973-75 and earned third team All-America honors following the 1975 campaign. The 6-foot-2, 265-pound Thomas finished his senior season with 137 total tackles, three passes broken up and one fumble recovery. as a sophomore in 1973, he led the team in tackles with 98. Indiana’s Most Valuable Player in 1974 and 1975, Thomas won the Balfour award following his senior season. One of the most prolific place-kickers in the history of Indiana University, Sven Chris Gartner was the first in what has become a long line of outstanding kickers at IU. A native of Gothenburg, Sweden, Gartner played high school football at Princeton (N.J.) High School and, following his senior season at Indiana, earned first team all-America and all-Big Ten honors. He twice connected on four field goals in a single game, a school record that was eventually tied by andy Payne (twice) and austin Starr (once). The Bloomington-bred Jade Butcher earned first team all-America and all-Big Ten honors as a senior in 1969 after finishing with 37 receptions for 552 yards and 10 touchdowns. Also an all-Big Ten selection as a junior, Butcher led the Hoosiers in receiving from 1967-69 and scored 10 touchdowns as a sophomore, junior and again as a senior. Second on IU's all-time touchdown reception list with 30, he participated in the north-South Game and Hula Bowl following his senior season. An all-Big Ten selection following his junior season, Jim Sniadecki went on to earn second team all-america honors and was an all-Big Ten pick as a senior in 1968. That season, he collected 88 tackles, notched two interceptions, returned one pilfer for a touchdown and also recovered two fumbles. One year earlier he garnered 84 tackles (59 solo). a native of South Bend, In, Sniadecki played in the East-West Shrine Game and the Hula Bowl following his senior season. One of four Indiana football all-america selections in 1967, Doug Crusan became the first defensive lineman in IU history to be so recognized when he earned second team honors. That same year he helped lead the Hoosiers to the Big Ten championship and a berth in the Rose Bowl. a product of Monessen, Pa., Crusan began his career playing on the offensive side of the ball but was switched to defense prior to his senior season. during his only season playing on defense, the Hoosier captain totaled 76 tackles and three fumble recoveries. One of only two IU football players to earn first team all-america recognition on two different occasions, Isenbarger was one in a long line of all-America running backs at Indiana. Isenbarger burst onto the college scene in 1967 and led the team in rushing with 579 yards. He topped that total during his junior campaign and went on to rush for 1,217 yards and five touchdowns as a senior. In 1967, isenbarger was one of four indiana University all-america selections that helped lead the Hoosiers to the Big Ten championship and a berth in the Rose Bowl. Although he started just a few games as a junior in 1966, this West Hartford, Conn., product burst onto the scene at guard for the Hoosiers in 1967 and went on to earn first team all-America and all-Big Ten recognition following his senior season. One of four iU football all-america picks in 1967, the 6-foot-3, 221-pound Cassells helped Indiana University to a Big Ten championship and a Rose Bowl berth. A first team all-America selection at guard by the American Football Coaches Association in 1966, this Collinsville, ill., product earned letters in both 1965 and 1966. in addition to his first team honors, Schuette was a second team selection by Sport Magazine and an honorable mention pick by United Press international. A product of Allison, Pa., Don Croftcheck was known for his quickness, strength and intense competitive desire as an offensive guard at Indiana University. He played as a reserve as a sophomore but assumed a starting role one year later and averaged almost 40 minutes of play- ing time while seeing action on both sides of the ball. He started all nine games as a senior in 1964 and earned first team all-America and all-Big Ten honors while blocking for all-america fullback Tom Nowatzke. Widely considered to be one of the finest players ever to don an Indiana University football uniform, Tom Nowatzke earned first team all-America honors and all-Big Ten recognition as a fullback in 1964. As a junior, he was an all-Big Ten fullback and IU’s Most Valuable Player as he rushed for a conference-leading 756 yards and five touchdowns. He rushed for 545 yards and nine touchdowns as a senior in 1964 and also caught 16 passes for 172 yards and a score. Woodson earned first team honors in 1963 after being named all-Big Ten the previous season. The Hattiesburg, Miss., product led the Hoosiers in rushing yardage as a junior with 540 yards and 5 touchdowns. He also led the team in receiving yardage (15-200-1Td) and in punt and kickoff returns. in addition to intercepting two passes on defense, Woodson rushed for 131 yards as a senior. A third team all-America selection and an all-Big Ten pick as a senior in 1960, Faison led the Hoosiers in receiving with seven catches for 154 yards and two touchdowns. The 6-foot-5, 235-pound Faison led the team in scoring as a junior while tallying 13 catches for 192 yards and three touchdowns. during his sophomore season, the Newport News, Va., product scored a 92-yard touchdown on a blocked field goal attempt to give the Hoosiers a 6-0 victory over Michigan State. Only a junior at the time, Ted Aucreman won second team all-america honors in 1958. The 6-foot, 175-pound end was known as a slash- ing, fiery battler and a fine blocker. During his all-america season of 1958, the Lancaster, Ohio, product caught four passes for 63 yards and excelled on defense. In a 6-0 upset win over Michigan State in 1958, he tallied 12 tackles in the final quarter of play to help seal the victory. As a senior, aucreman caught 13 passes for 260 yards and three touchdowns. A third team all-america selection as a guard in 1958, Mike Rabold led the Hoosiers in minutes played as a junior and was second in that same category during his senior season. Following his career at Indiana, he played in the 1958 Blue-Gray Game and the 1959 College all-Star Game and Senior Bowl. An academic all-America selection following his senior season, Brad Bomba was a three-time academic all-Big Ten pick and earned third team all-America recognition for his play at end as a senior in 1956. Widely regarded for combining vicious blocking, defensive ability and intense competitive spirit with his offensive talents, the 6-foot-3, 214-pound Bomba caught 31 passes for 407 yards and one touchdown as a senior and won the prestigious Balfour award for bringing honor and distinction to IU. A second team all-America selection as a senior in 1946, John Cannady helped pave the way for all-america running back George Taliaferro. A teammate of back/end Frank Gifford from 1952- 54, Cannady was a member of the new York Giants’ 1950 squad that finished with a 10-2 record and tied for first place in the American Conference. A second team all-America selection as a senior in 1946, Raimondi had helped lead the Hoosiers to their first Big Ten football championship one year earlier. in 1945, he threw for 593 yards and 10 touchdowns and one year later he completed 73-of-135 passes for 971 yards and eight scores. One of four Indiana University football players to earn all-America honors in 1945, Russ deal was the team captain and played an integral role as a lineman on the Hoosiers’ Big Ten Championship team that season. One of the leaders of Indiana University’s 1945 Big Ten championship team, Howard Brown was an IU football captain in 1946 and 1947. He was recognized as a second team all-america selection as a sophomore in 1945. after playing in the East-West Shrine Game in 1947, Brown went on to play professionally for the Detroit Lions from 1948-50. Following his stint in Detroit, Brown returned to Bloomington to become an assistant football coach. He coached at Indiana in 1951 and 1952 and from 1954-75. One in a long line of outstanding running backs who have excelled at Indiana University, George Taliaferro may best be known as the first African-American to be drafted by a National Football League team. The only IU football player to be named to all-America teams following three different seasons, he received first team recognition in 1948 after earning second team all-america honors in both 1945 and 1947. 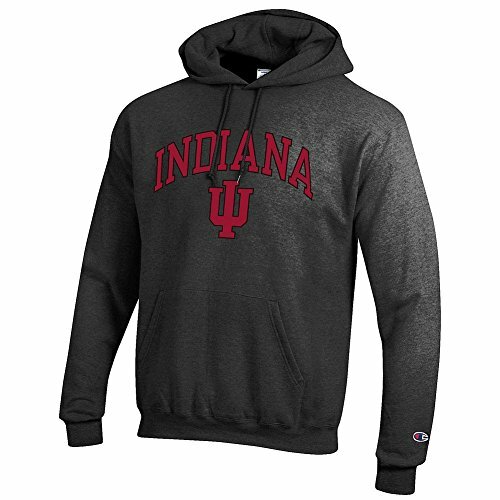 To the victor goes the spoils and following Indiana University’s first Big Ten football championship in 1945, Bob Ravensberg, George Taliaferro, Howard Brown and Russ deal all earned all-America honors. Ravensberg, a first team selection, played end for the Hoosiers and also earned all-Big Ten honors that same season. A four-year letterman and a two-year captain at iU, John Tavener was named to six different all-America teams in 1944. an extremely versatile player, Tavener called the offensive signals as a center, excelled on defense and kicked extra points. He earned iU’s MVP honors in 1943 and 1944 and went on to play in postseason all-star games in 1944, 1945 and 1946. Although he played only two seasons of football for the Hoosiers, Bob Hoernschemeyer set two NCAA records for freshmen and earned third team all-America honors in 1943. That season he completed 70-of-155 passes for 1,136 yards and 13 touchdowns. Also an all-Big Ten pick in 1943, he went on to play professional football for the Chicago Rockets, Brooklyn Dodgers, Chicago Hornets and Detroit Lions. After earning all-America honors as both an end and fullback, Pete Pihos became the second Indiana football player to be enshrined into the College Football Hall of Fame when he was inducted in 1966. After helping Indiana set national records on offense in 1943, he returned from a stint in the army to lead the Hoosiers in scoring during their Big Ten Championship season of 1945. In 1946, Pihos was named Indiana’s Most Valuable Player while shattering previous iU records for touchdowns, total points and receptions. A fifth-place finisher in the 1942 Heisman Trophy balloting, Bill Hillenbrand led the Hoosiers in rushing (130-498) and passing (102-50-901- 11 TDs) that season on his way to earning first team all-America recognition and all-Big Ten honors. In 1941, he was the club’s leading passer and earned third team all-america honors and was an all-Big Ten pick. The first pick overall in the 1938 national Foot- ball League draft, Corby Davis earned first team all-America honors and was voted as the Big Ten’s Most Valuable Player by the Chicago Tribune in 1937. Prior to participating in World War ii, davis spent four successful seasons with the Cleveland Browns before retiring in 1942. A football and basketball standout at Indiana, Vern Huffman was IU’s first all-America quarterback. A second team all-america selection and the Big Ten’s Most Valuable Player in 1936, Huffman is the only player in the history of IU to earn all-america honors in football and basketball. IU’s Balfour award winner for football following his senior season, Huffman played professional football for the Detroit Lions. The first all-america running back in the his- tory of Indiana University, Chuck Bennett earned second team honors in 1928. a team captain, Bennett also earned all-Big Ten honors and was voted his team’s Most Valuable Player following the 1928 season. Indiana University’s second football all-america selection, Clare Randolph earned second team honors following the 1928 season. Also an all-Big Ten pick, he was IU’s Most Valuable Player in 1927, and he played professionally until 1936. A member of Indiana’s first Big Ten team, Zora Clevenger played for the Hoosiers from 1900- 03 and earned all-America honors at center. A three-sport star, Clevenger drew wide-spread recognition for his speed and leadership. After retiring from coaching, Clevenger served as athletic director at Missouri and Kansas State before returning to Bloomington to work as Indiana's athletic director for 23 years.